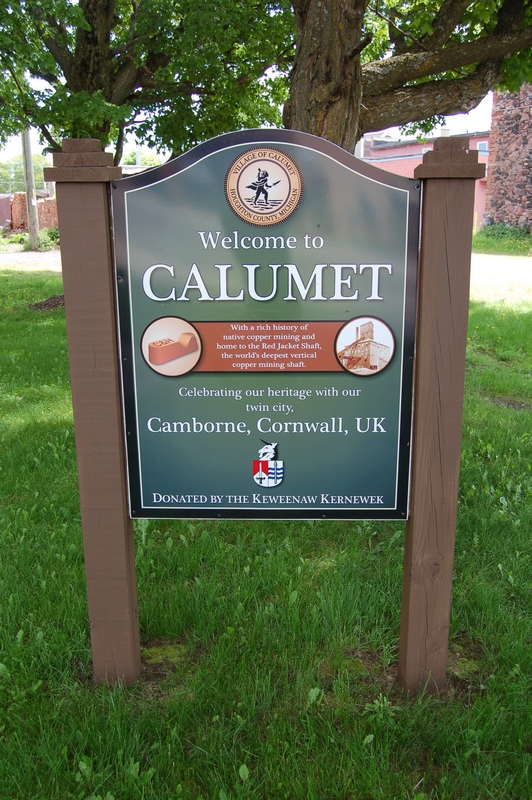 Calumet, Michigan is located in the Keweenaw Peninsula, where a copper mining boom that began at the end of the nineteenth century led to an abundance of wealth and the construction of many grand buildings that were ahead of their time. 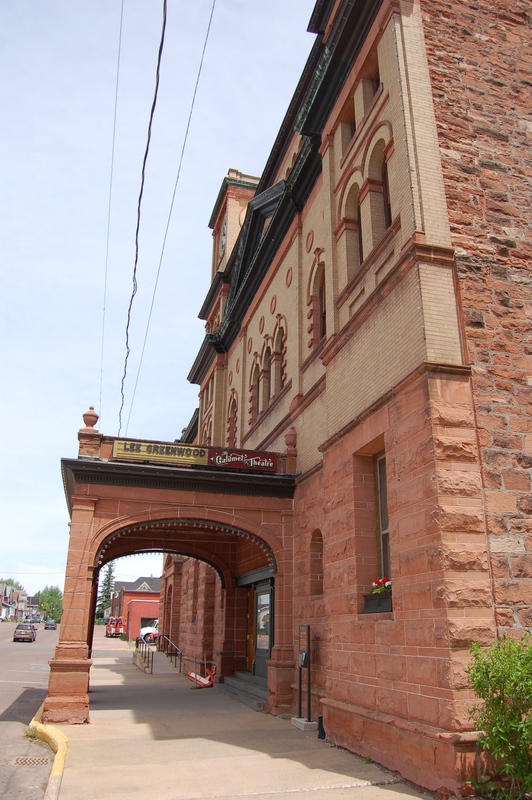 One of those buildings is the Calumet Theatre, a stunning two-story brick structure that once had 1,200 seats for visitors to see some of the biggest names in music and theatre. 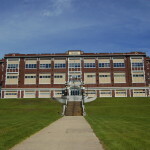 It is a Michigan historic site as well as part of the National Register of Historic Places. 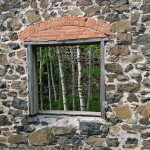 We recently featured this as one of the 26 Sites to See at Keweenaw National Historic Park. 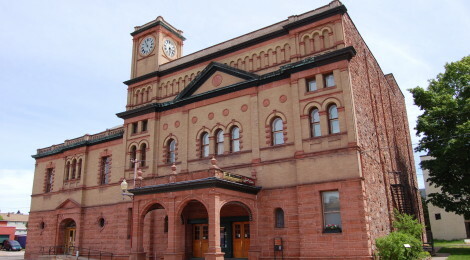 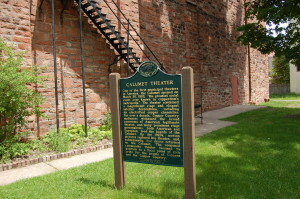 The Calumet Theatre is open for guided and self-guided tours (during regular box office hours) and it still hosts events; a schedule can be found at http://www.calumettheatre.com/events/event/. 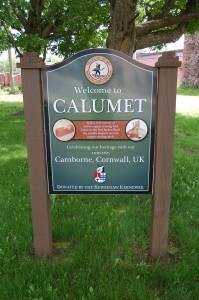 Another sign near the historic marker welcomes visitors to Calumet, and notes that it has a “rich history of native copper mining and home to the Red Jacket Shaft, the world’s deepest vertical mining shaft” and that its sister city is Camborner, Cornwall, UK. 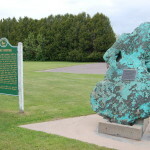 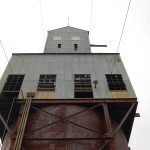 A short drive or walking tour of Calumet shows just how rich the area once was, and how much money the Calumet & Hecla Mining Company poured back into the local community. The Calumet Theatre is located at 340 6th St.